When visiting Southern Italy it is what you don't expect to see that counts. 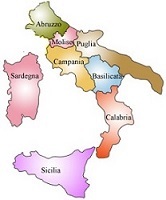 Our mission : Guide the discerning traveler deeper into Southern Italy little places, the odd nooks and crannies that are largely unprofitable to write about, and along the way, introduce our visitors to our people, our traditions, our folklore & products of those places we will be "visiting". 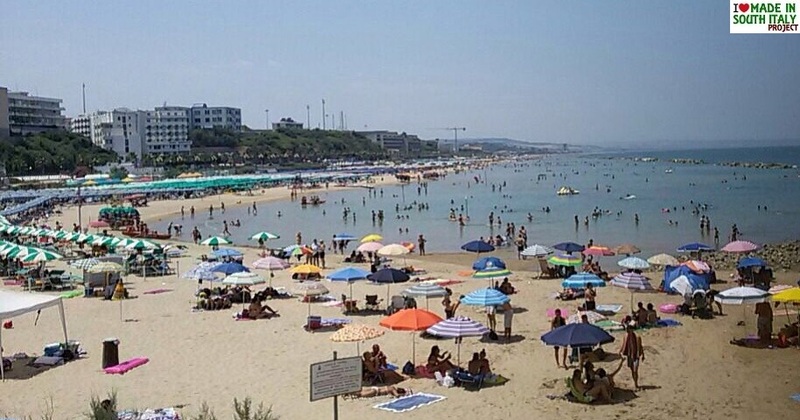 Welcome to Southern Italy...we have been expecting you. 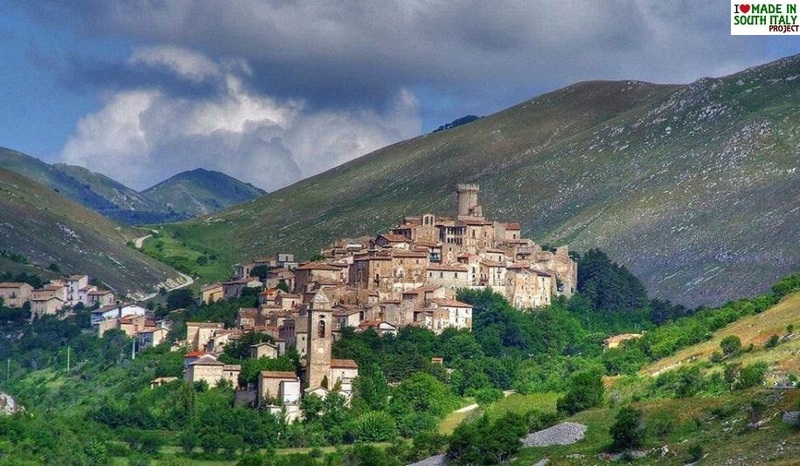 Santo Stefano di Sessanio in the province of Aquila, is a fascinating tiny medieval village with its narrow alleys and stone houses, many dating back to the 15th century. 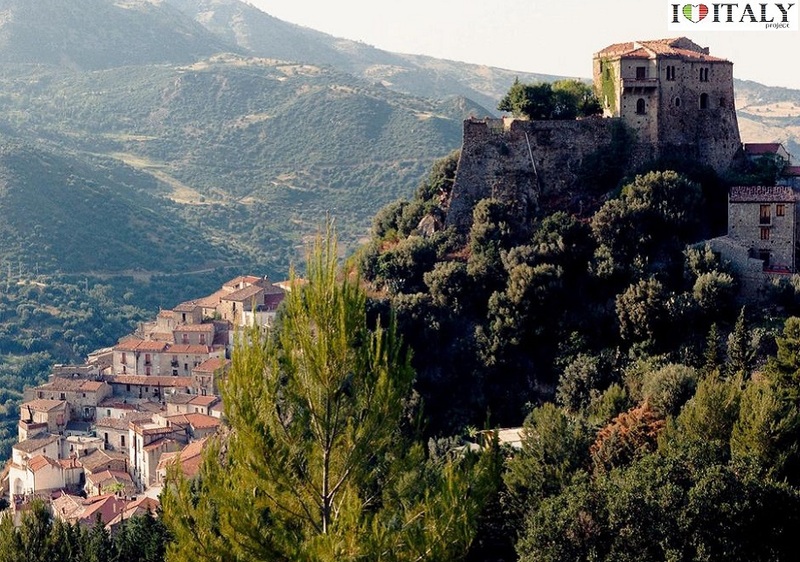 The town is listed as one of Italy's most beautiful hamlet. 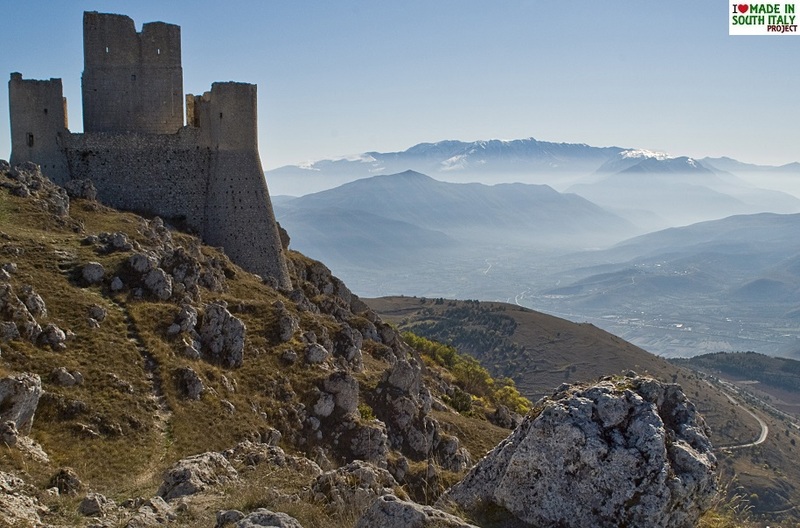 Rocca Calascio is a mountaintop fortress (or rocca ) in the Province of L'Aquila. Located within the Gran Sasso e Monti della Laga National Park. Construction of the fortress started in the tenth century as a single watchtower. Rocca Calascio was the location for the final scene of Richard Donner film Ladyhawke. Sequences for The Name of the Rose and The American were also shot here. Alba Fucens (near Avezzano, Aquila province) was an ancient Italic town occupying a lofty location (1,000 m) at the foot of the Monte Velino. Its prosperity, in the imperial period, can only be inferred from the number of inscriptions found there. The town was completely destroyed by the Saracens in the 10th century. Those seeking sports in the region will not be disappointed by the delight of trekking through the snowy canyons of Majella and Sirente. 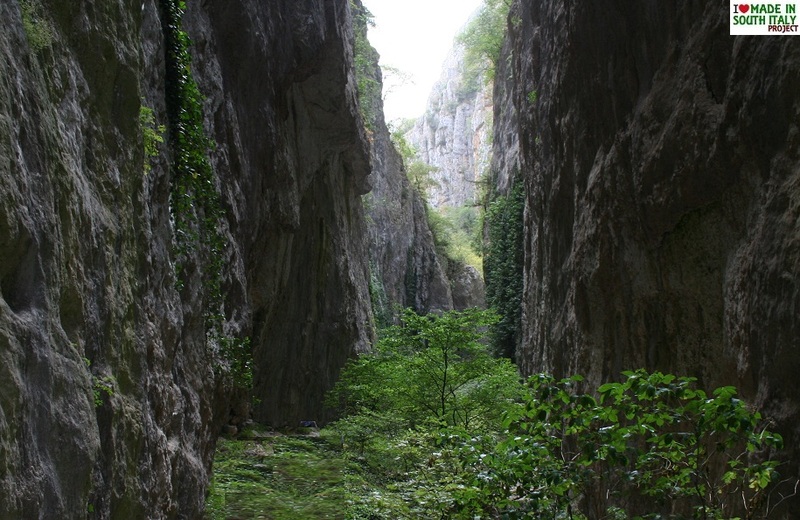 The Gorges of Celano (Aquila province) are undoubtedly a rare example of Canyon in Italy. The so-called "crossing of the Gorge" is favorite destination for many mountain lovers, both Italians and foreigners. 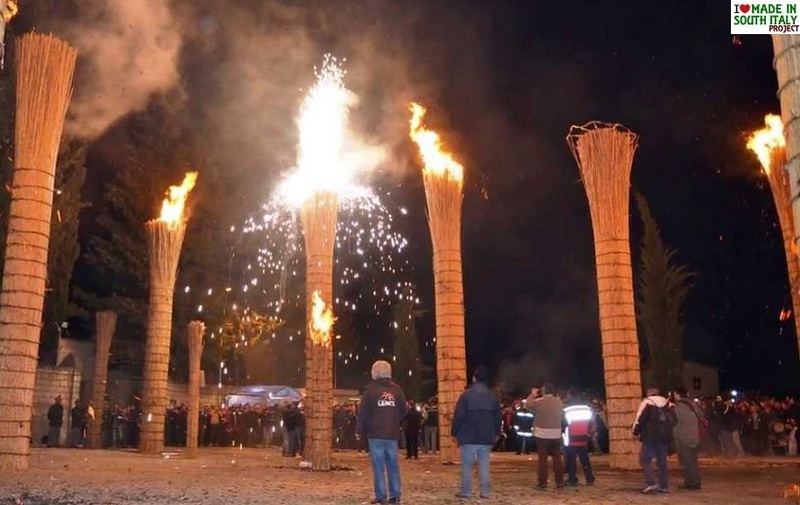 The burning of the farchie takes place in the month of January, in the town of Fara Filiorum Petri to honor Saint Anthony of Abate. Most likely the ritual was meant to be a form of purification, a protection from evil, and as a talisman of hope that abundant sunshine would lead to abundant crops in the coming warmer months that lie ahead. 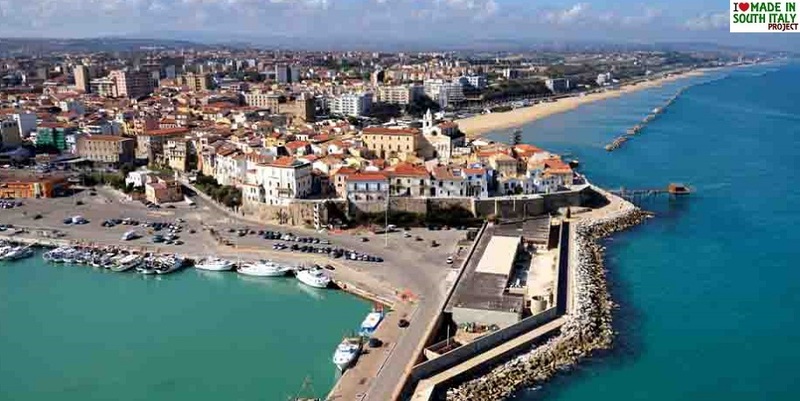 Molise is not just mountains and hills, the region also has a beautiful coastline, wedged between the beaches of Abruzzo and the Gargano promontory, extending for about 35 km. 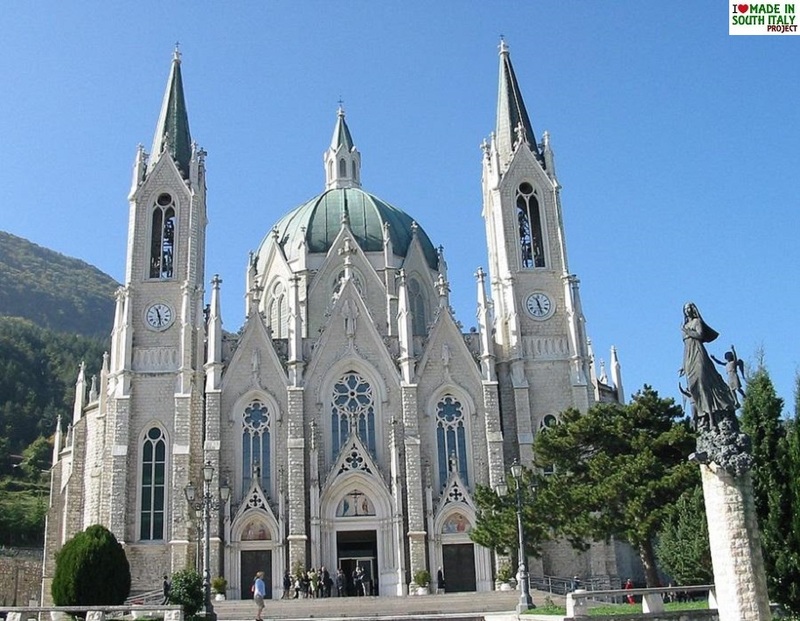 This beautiful church is built on the same location where Our Lady appeared on March 22, 1888 as Our Lady of Sor­rows. Castelpetroso is near Isernia, about 120 miles south of Rome. Many immigrants from Castelpetroso settled in Nutley, New Jersey. Cerro al Volturno is a small mountain town of medieval origin located in the province of Isernia. 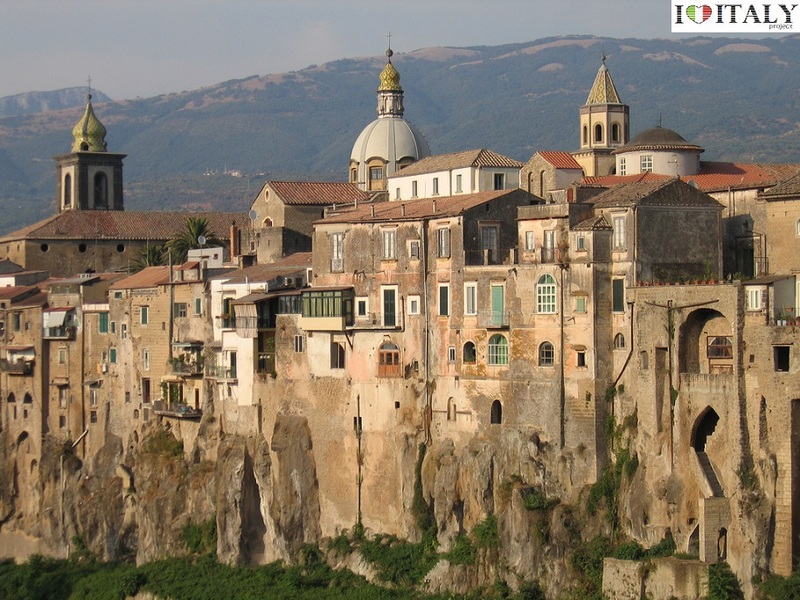 The town's main feature is the imposing Castle Pandone overlooking the whole town and the entire Volturno Valley. 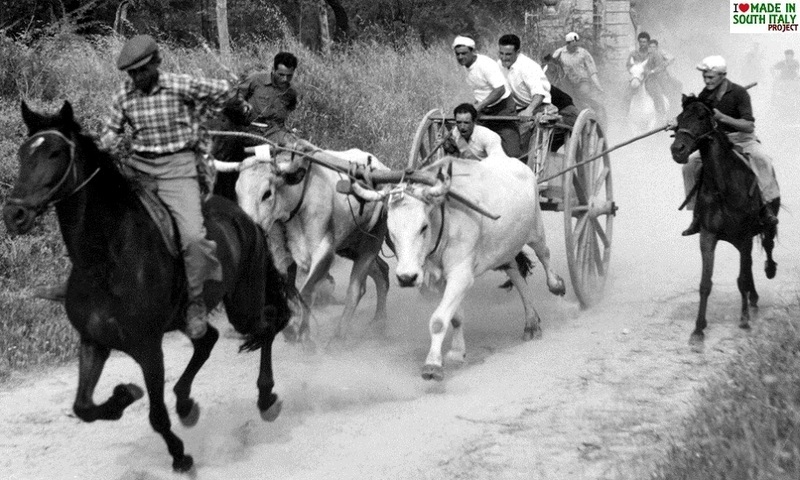 "La Carrese" is a race between two or more wagons pulled by teams of oxen that is held every year on April 30 in San Martino in Pensilis (Campobasso), in conjunction with the celebrations for the town's patron saint, St. Leo (May 2). Other "Carresi" are held in Chieuti, Portocannone and Ururi. Sant'Agata de' Goti​ lays on the slopes of Mount Taburno whose springs feeds the aqueduct ​engineered ​ by Luigi Vanvitelli that brings water to the Caserta Royal Place known as La Reggia di Caserta. 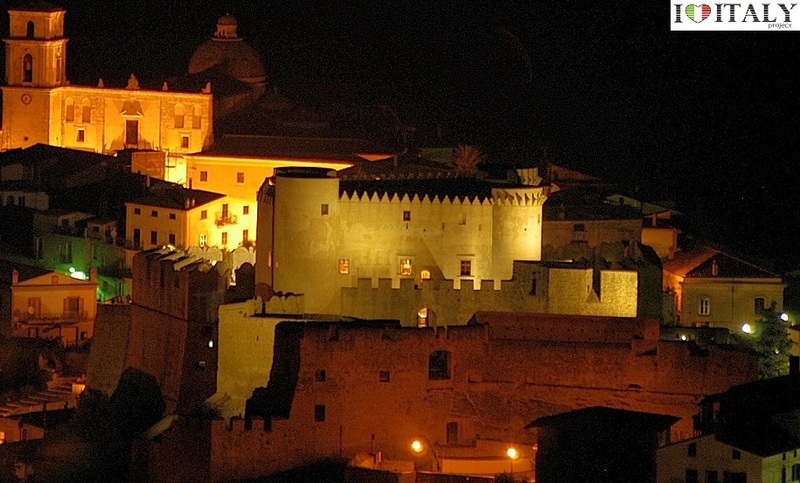 The town is located about 35 km northeast of Naples in the province of Benevento. The name derives from the Gascony family De Goth who held it in the 14th century. Positano was a relatively poor fishing village during the first half of the twentieth century. It began to attract large numbers of tourists in the 1950s, especially after John Steinbeck published his essay about Positano in Harper's Bazaar in May, 1953: "Positano bites deep", Steinbeck wrote. "It is a dream place that isn’t quite real when you are there and becomes beckoningly real after you have gone." First mentioned in the 6th century, Amalfi acquired importance as a maritime power. In medieval culture the town was famous for its flourishing schools of law and mathematics. 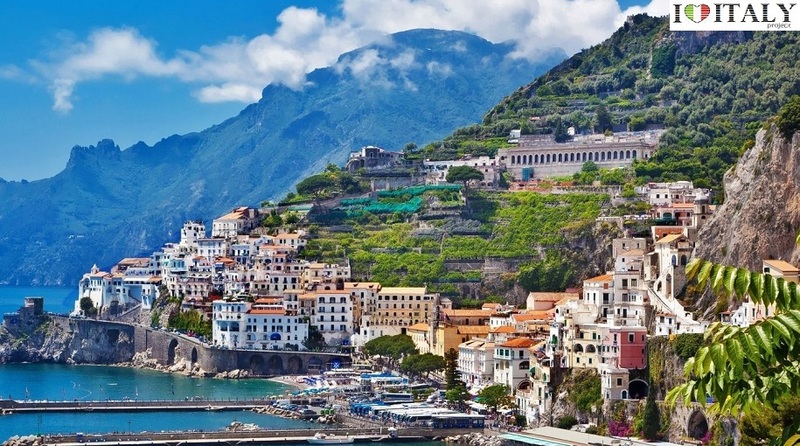 Amalfi is a town and comune in the province of Salerno, on the Gulf of Salerno surrounded by dramatic cliffs and coastal scenery. The roughly trapezoidal island is formed by a complex volcano at the western side of the Bay of Naples. Ischia, is the largest of the Phlegrean Islands and has about 34 km (21 miles) of coastline. The main industry is tourism, centering on thermal spas that cater mostly to European and Asian tourists eager to enjoy the fruits of the island's natural volcanic activity, its hot springs, and its volcanic mud. The town is nestled between the settlements of ancient rupestrian civilization dating back to before the Neolithic time. Massafra (Greek: Messaphros) is located in the province of Taranto. Its first historical mention dates back to the 10th century, under the Lombard rules. 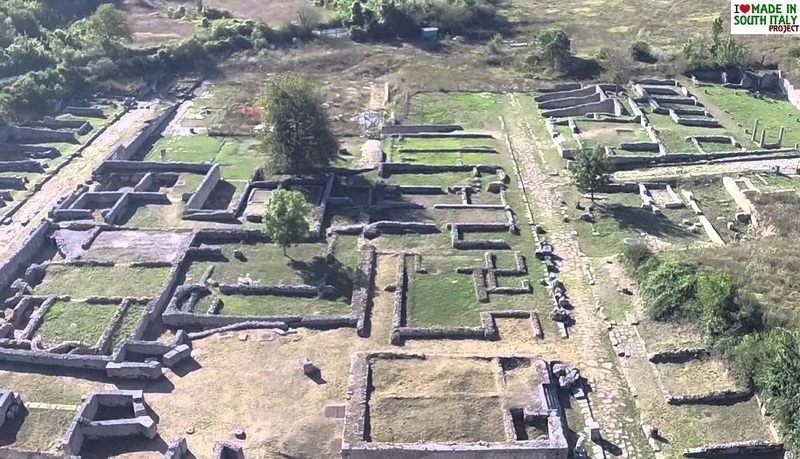 Scholars suggest that it might have been founded in the 5th century by refuges from the Roman provinces of Africa invaded by the Vandals. 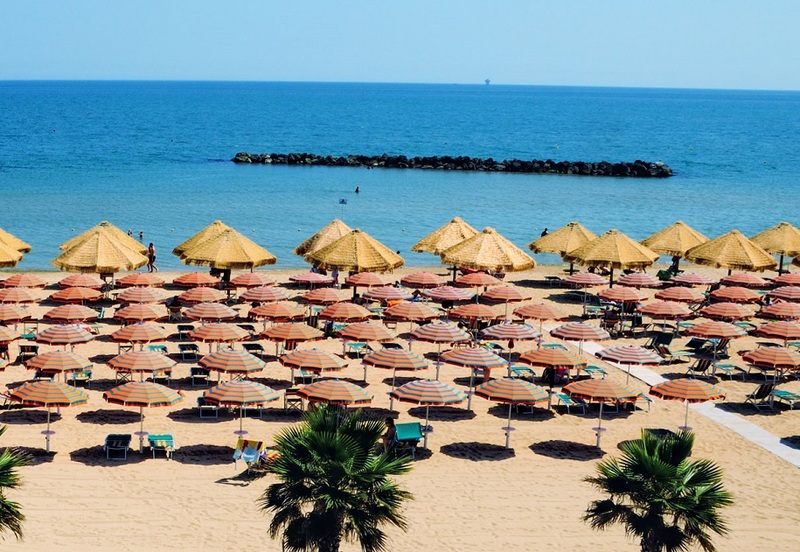 Vieste is a marine resort in the Gargano peninsula, part of the Gargano National Park. Often the recipient of the coveted 'Blue Flags', due to the purity of its water. Its proximity to the coast made a easy pray for the Saracens infesting those waters during the middle ages. In 1554 around 5,000 inhabitants were executed by the Turks, on the grounds that they were too elderly or infirm to merit transportation into slavery. Vieste's most famous point is Pizzomunno, a vertical rocky monolith standing at 25 metres (82 ft) near the Spiaggia del Castello (Castle Beach). 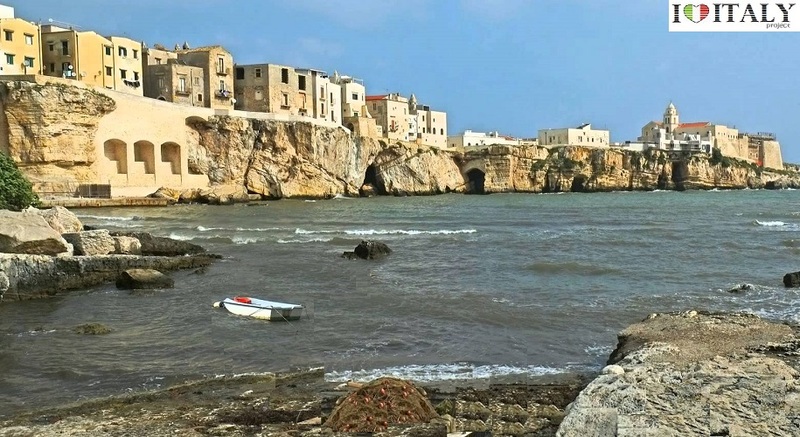 Polignano a Mare in the province of Bari stands on a rocky outcrop overlooking the Adriatic Sea. Of particular interest are its natural caves and the historic center. The town has a long history dating back to the Neolithic period. Local economy is mainly based on tourism, agriculture and fishing. 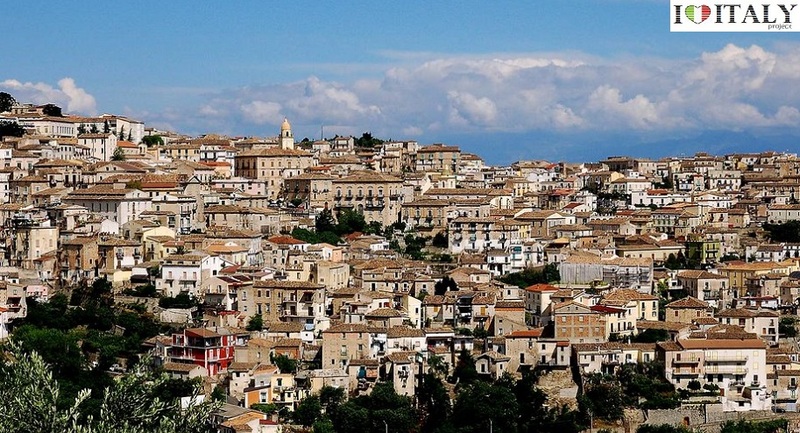 Tursi (Greek: Thyrsoi) also in the province of Matera. In the 9th century was a stronghold of the Saracens and in 968 became the capital of the Byzantine. Known as one of Italy's 'bellissimo' hamlet, Castelmezzano is located in the province of Potenza. 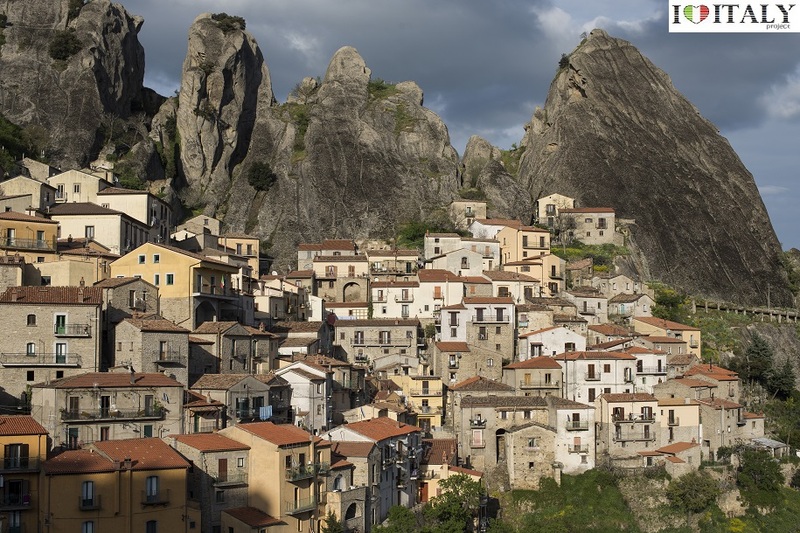 The origins of Castelmezzano date to approximately between the 6th and 5th centuries BC, when Greek settlers got into the valley of Basento and founded a town called Maudoro, meaning roughly, the world of gold. Was known in antiquity as Rutunda Maris, today we refer to it as 'the balcony of the Ionian Sea' due to its strategic position. Various buildings that exist today were built in the late 1700. Rotondella is located in the province of Matera. 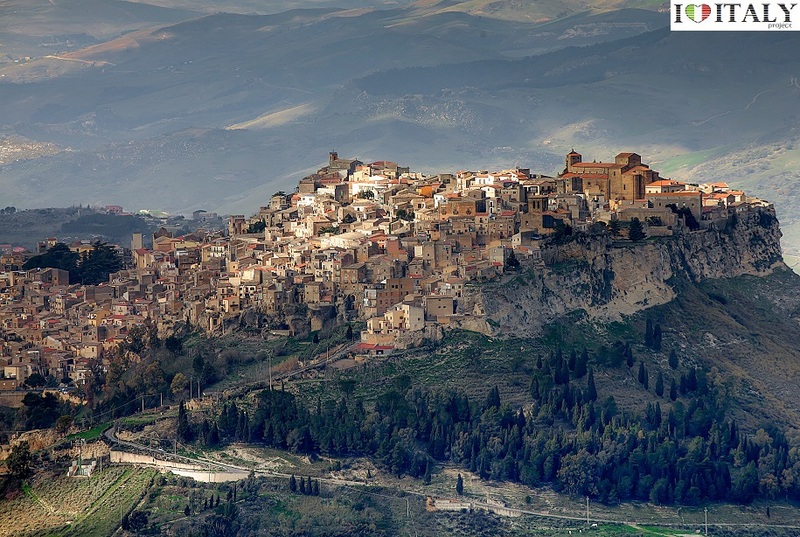 The town of Gerace, in the province of Reggio di Calabria, spreads on a hill formed of conglomerates of sea fossils from 60 millions years ago. Its name derives from the Greek 'ierax' ("sparrowhawk"). According to a legend, the inhabitants of the coast, fleeing from a Saracen attack in 915 CE, were led by a sparrow hawk to the mountains commanding the area of Locri, and here they founded the city. In 986 the Saracens briefly conquered the city, but it returned to Byzantine control until the Norman conquest in 1059. Because of its medieval charm and the numerous well preserved churches the town is also known as the 'Firenze del Sud' ( Florence of the South). 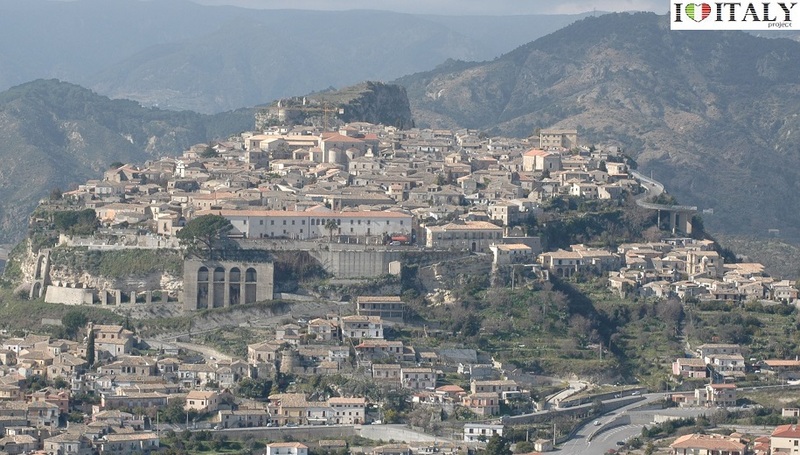 In the municipal area of Melito di Porto Salvo, in the province of Reggio di Calabria, Pentedattilo, the 'Ghost Town', is one of the most distinctive villages in the whole Calabria. The abandoned town is being slowly brought back to life by local associations and some houses can be rented in the summer period. 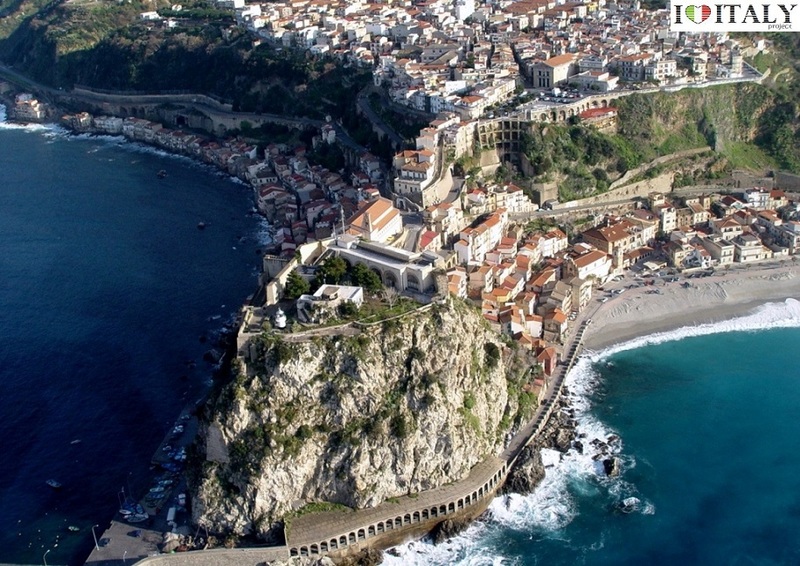 Scilla, once famous for sword fish, in Reggio di Calabria province, is a seaside resort facing Sicily. 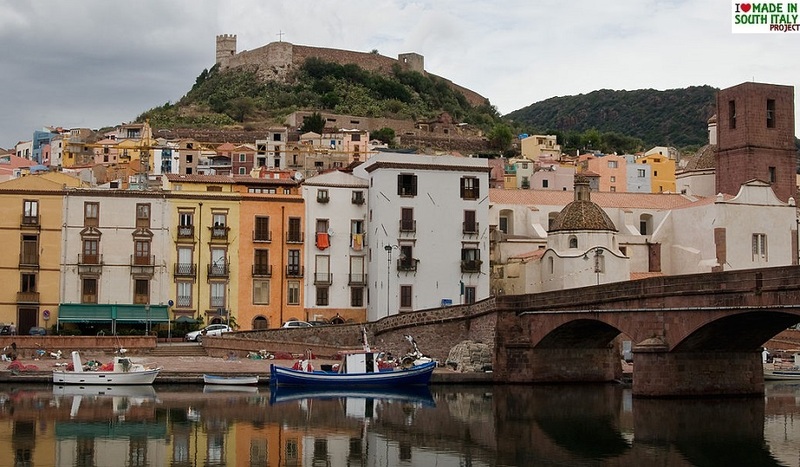 The old and new sides of the town are separated by a rocky promontory crowned by a castle of late medieval origins. This was the fishing village in the Homeric myth of Scylla and Charybdis, the two sea monsters which threatened ships in the waters of the strait. 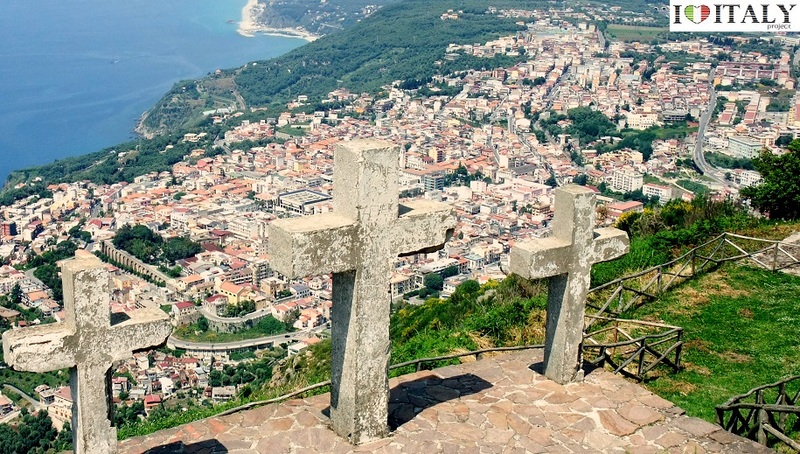 In a dominant position, overlooking the Violet coast, from a shelf of the coastal mountains, Palmi in the province of Reggio di Calabria, is a major seaside resort thanks to its landscape, which has led writers and poets to call it the "terrace on the Strait of Messina". 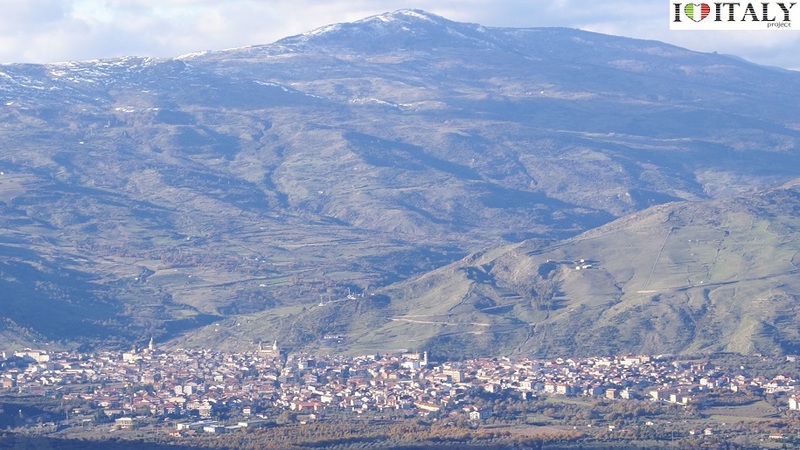 Rossano is located in the province of Cosenza. 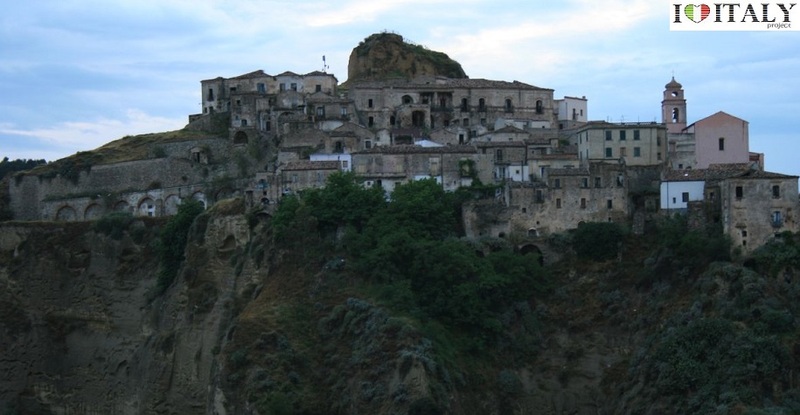 It was one of Calabria's major centres of Byzantine civilization. The Diocesan Museum holds the 'Codex purpureus rossanensis' (6th century), a Greek transcription of the Gospels. 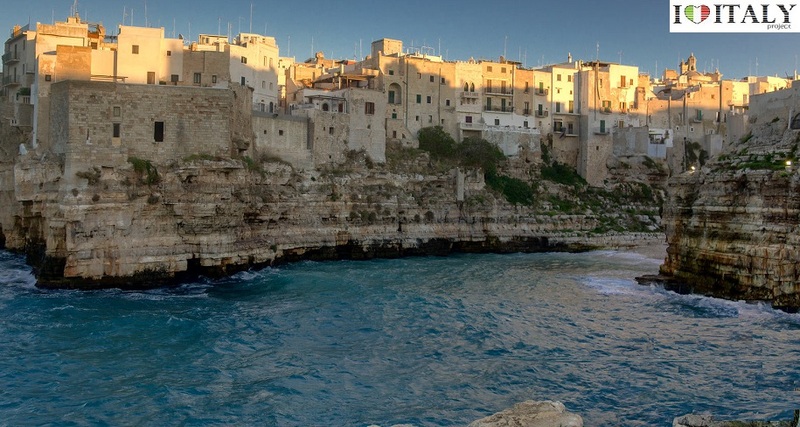 Perched on a steep rock, Santa Severina, in the province of Crotone, offers precious examples of Byzantine and Norman architecture, such as the beautifully preserved Norman castle, the cathedral and the Byzantine baptistery. 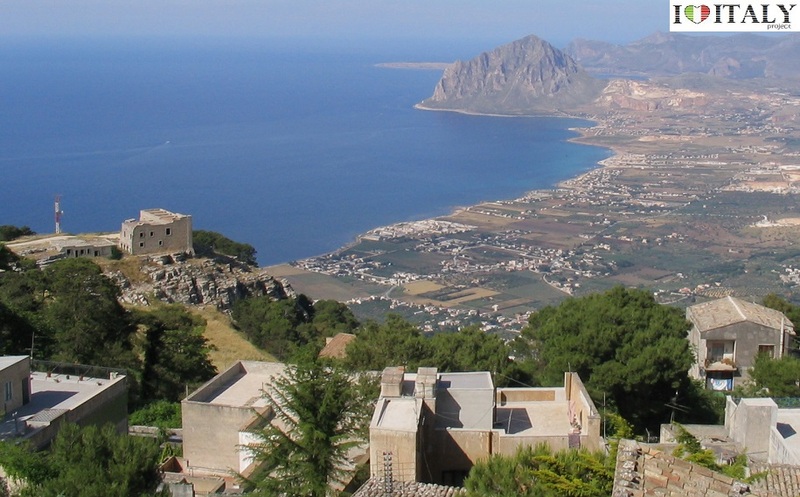 Erice in the province of Trapani - Situated at the top of the mountain of the same name, it has retained the appearance and the atmosphere of a medieval town, with silent alleyways climbing up inside the well preserved old walls. The Pepoli Castle near the luxuriant Balio garden stands on the site of the ancient acropolis. 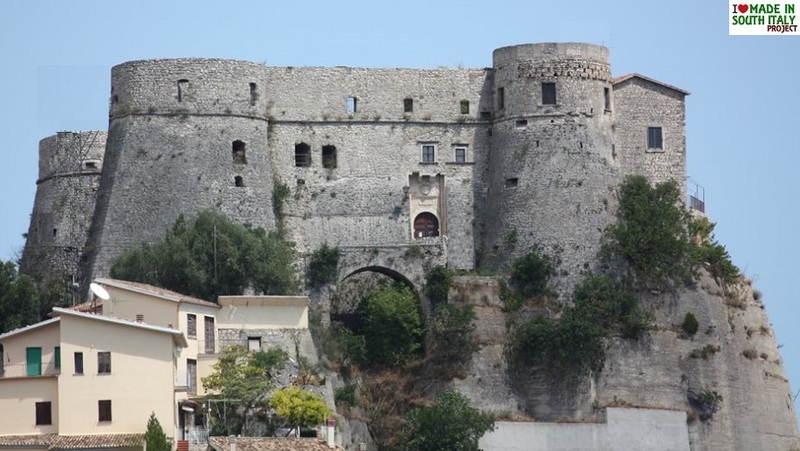 Here too are the Venere Castle, a medieval fortress from which there is a magnificent view. Monreale in the province of Palermo - Standing on a panoramic site overlooking the very fertile valley called ​Conca d'Oro. 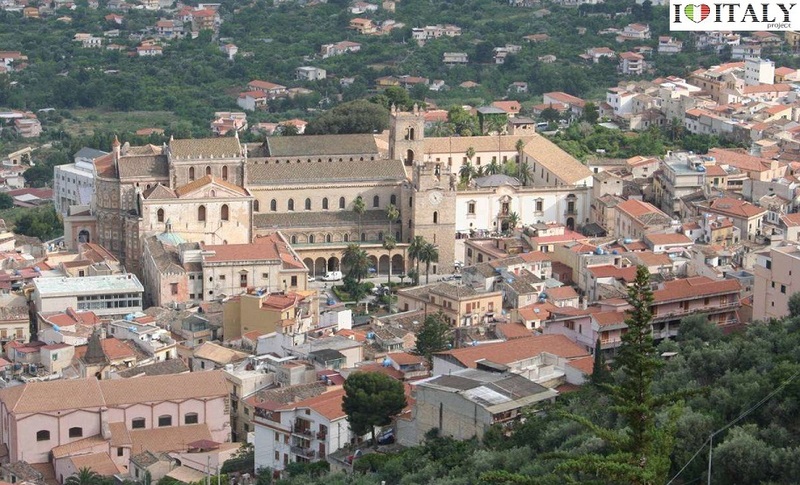 It is famous for its cathedral, the greatest example of Norman architecture in Sicily. Built in 1174, its facade is flanked by two powerful quadrangular towers and it has splendid bronze-imposts on the main portal and the apse. The cloister is surrounded by porticoes with pointed arches supported by 228 slender twin columns with capitals delicately sculpted with motifs of Biblical inspiration. Milazzo - Located in the province of Messina, is one of Sicily's most important towns. It is divided into two, with the old town higher up. In Homer's Odyssey, Milazzo is the place where Ulysses is shipwrecked and meets Polyphemus. In the 9th century was conquered by the Arabs, who built here the first nucleus of the castle. Frederick II of Hohenstaufen further fortified the town and created here a personal hunting park. 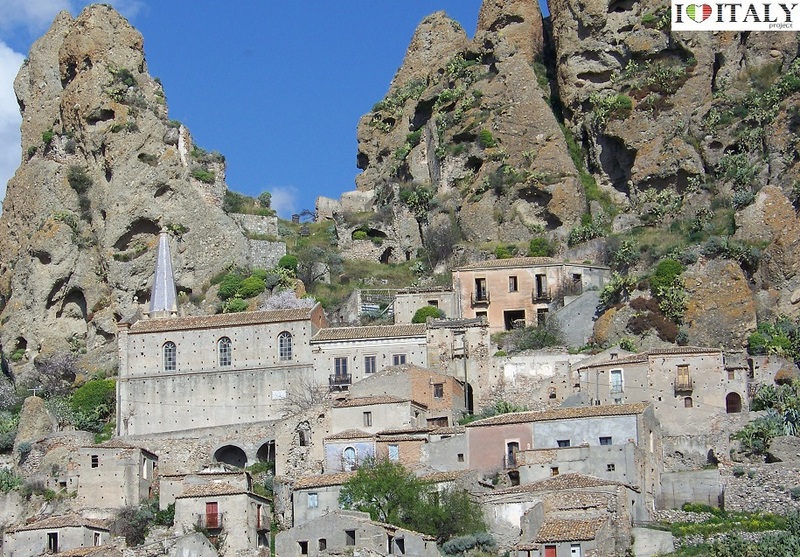 Randazzo - Despite the serious damage suffered during the last war, the town of Randazzo in the province of Catania , built entirely of lava, has preserved intact its distinctive appearance. It is the nearest town to the summit of Etna, and is one of the points from which the ascent may be made. 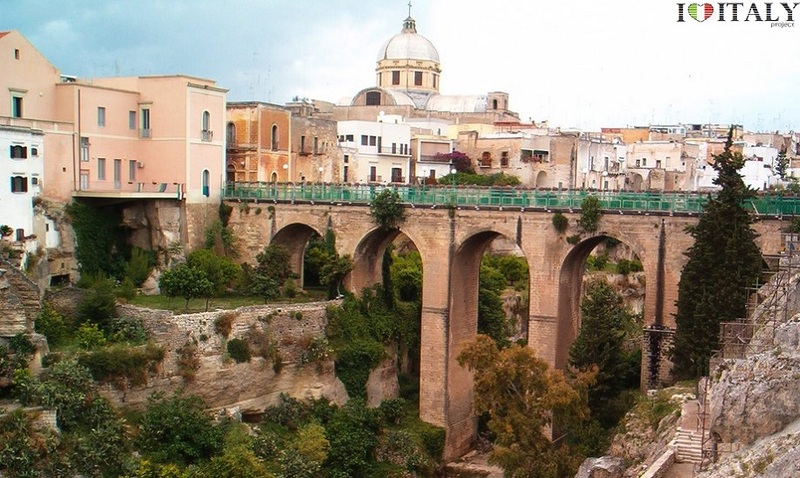 Noto - Considered to be the capital of Sicilian Baroque . It is located in the province of Siracusa and is listed as a UNESCO World Heritage site since 2002. The older town ( Noto Antica) lies about 8 kilometres away. In 866 it was conquered by the Arabs, who elevated to a capital city of one of three districts of the island (the Val di Noto). In 1091, it became the last Muslim stronghold in Sicily to fall to the Christians. Later it was a rich Norman city. According to legend, Daedalus stopped here after his flight over the Ionian Sea, as well as Hercules, after his seventh task. Homer, best known as the author of the Iliad and the Odyssey, describes Enna as the place where Persephone (daughter of Zeus and the harvest goddess Demeter) was abducted by Hades, the god-king of the underworld. Following the fall of the Western Roman Empire, Enna flourished as an important Byzantine stronghold. Was taken by Muslim troops in 859, in the course of the Islamic conquest of Sicily. 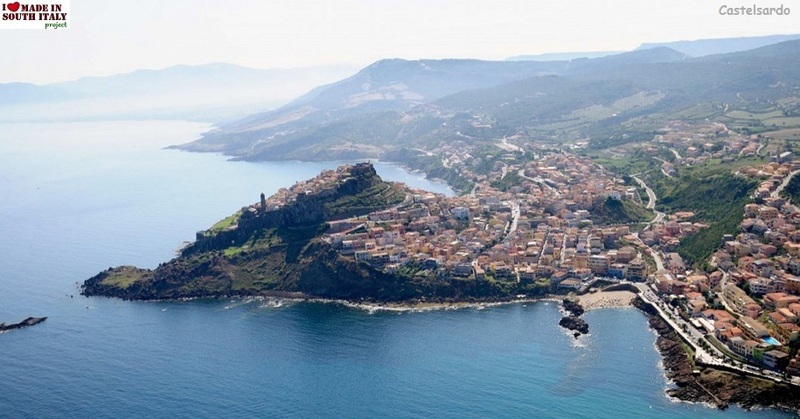 The old town of Castelsardo in the province of Province of Sassari dominated by the Aragonese fortress with its distinctive appearance due mainly to the well preserved old town walls. Bosa is a town and comune in the province of Oristano, not far from the resort of Bosa Marina overlooked by the ruins of the castle of Serravalle. 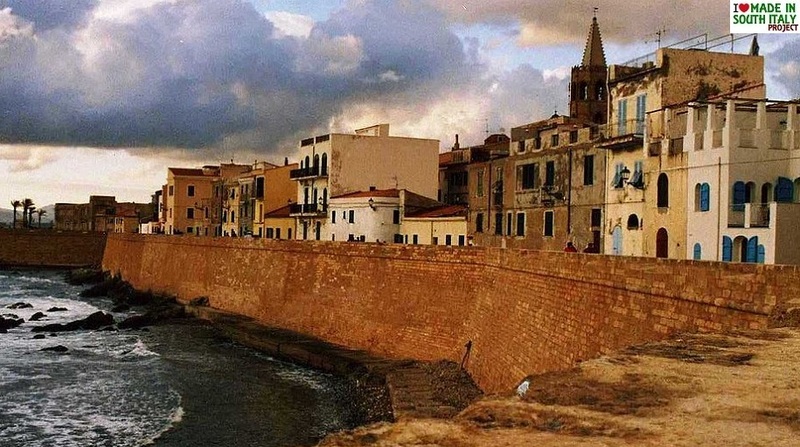 Alghero in the northwestern province of Sassari is a popular seaside resort surrounded by beautiful beaches. The oldest remains in town are the Aragonese fortifications. La Cala is located in an area whose natural landscape was deeply affected by mining. 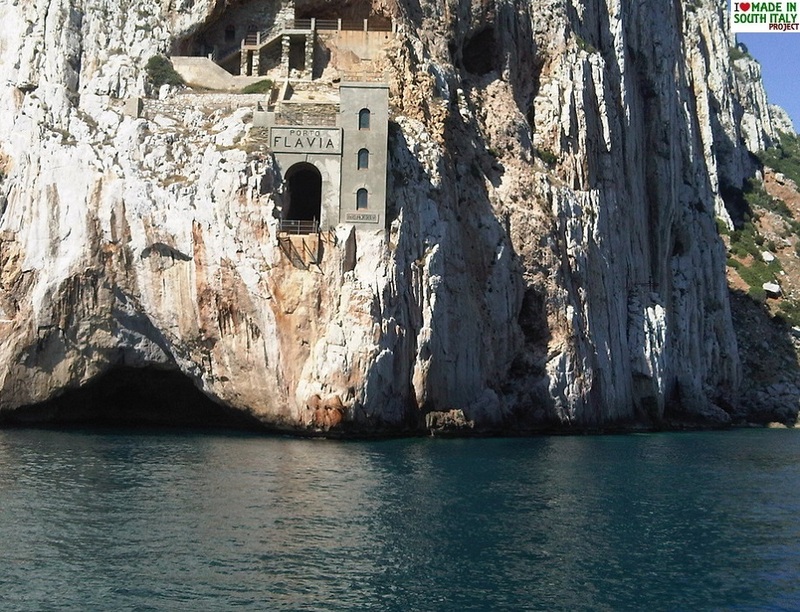 Some tunnels were dug to reach the beach, as in Porto Flavia, from were to ship out minerals. The area borders with the nature reserve known as "Costa Nebida". operatori interessati a predisporre un’offerta di pacchetti turistici locali in coerenza con una strategia di sviluppo tesa a valorizzare le potenzialita' del propio territorio. Suggested itineraries for the independent traveler. Lets get to know each other better !